Marianne Nestor is behind bars for a cause she believes in. The widow of Oleg Cassini, a fashion designer who dressed Jackie O among other starlettes, Nestor is in jail for not following court orders related to the protracted legal battle over his $55 million estate, according to the New York Post. 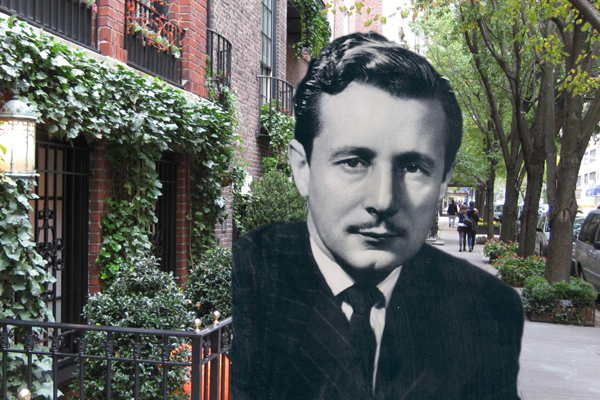 Meanwhile, Cassini’s grandson, Alexandre Cassini Belmont, is trying to force the sale of a $15 million Gramercy townhouse, which Nestor calls her “primary residence” in an effort to recoup the over $760,000 a court determined was owed by Nestor to his late mother’s estate. Belmont’s mother, Christina, and her sister Daria–Cassini’s children from a previous marriage to Hollywood actress Gene Tierney–were supposed to be entitled to half his fortune under a 1953 divorce decree, however, due to the dispute with Nestor, they both died before any funds were released. Nestor was arrested on May 3, en route to the opera in Manhattan, for ignoring court requests to hand over business records and other documents. All Cassini’s businesses were under Nestor’s control until 2015 when she and her sister, Peggy, were accused of mismanagement and a receiver stepped in. “Marianne has engaged in a pattern of obstructionist conduct the likes of which are rarely, if ever, seen in Surrogate’s Court,” wrote attorney Robert Harper in a legal filing on behalf of the estates of Christina and Daria. Though Nestor could secure her release by handing over the documents, Harper alleged the widow ordered the papers in question to be destroyed after her arrest.